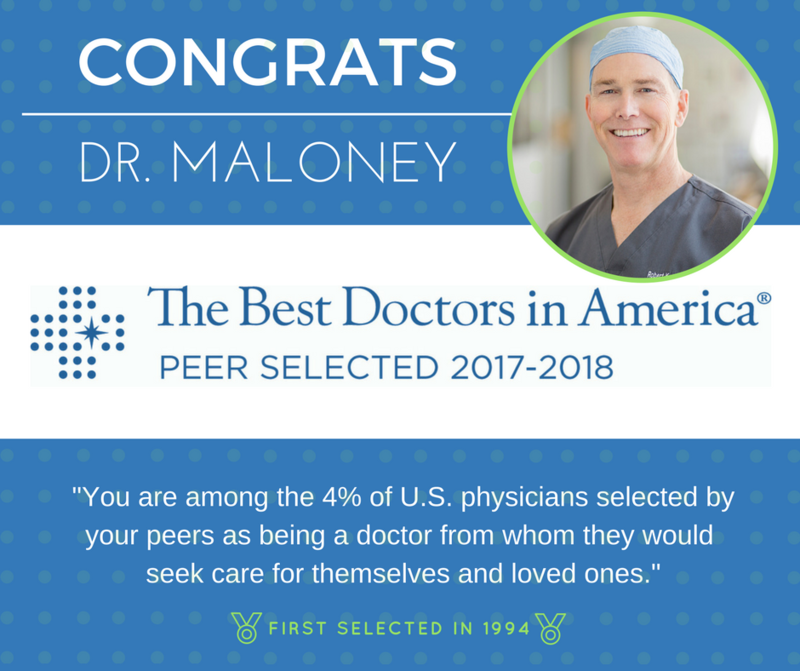 CONGRATS to Dr. Maloney who was selected by fellow physicians as one of the Best Doctors in America, 2017-2018. Being named a Best Doctor is a singular honor recognizing the 4% of U.S. doctors from whom other doctors would seek care. Only those who earn the consensus support of fellow physicians are included. Nice work, Doc!